← Why guns rage over trivial issues? So Jiggy came over to Mumbai the other day and as usual displayed her lowwee and talent for cooking. I got inspired enough to click pictures of all that we managed to make that day 🙂 ..So here is a series of recipes all of which came out really well. 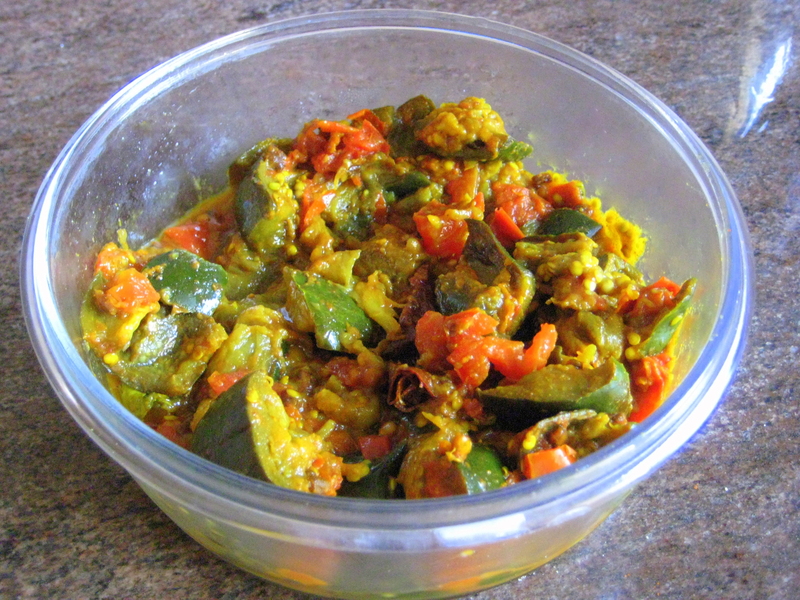 To begin with here is a super simple and delicious baingan(brinjal) recipe to go with roti or paratha or rice. Heat 2-3 tbsps of Mustard Oil for atleast a minute before throwing in 1 tspn of Methi Seeds and a tspn of Hing. Stir for 30 seconds and add in the Brinjal.Stir it so that the oil covers a bit of all the pieces. 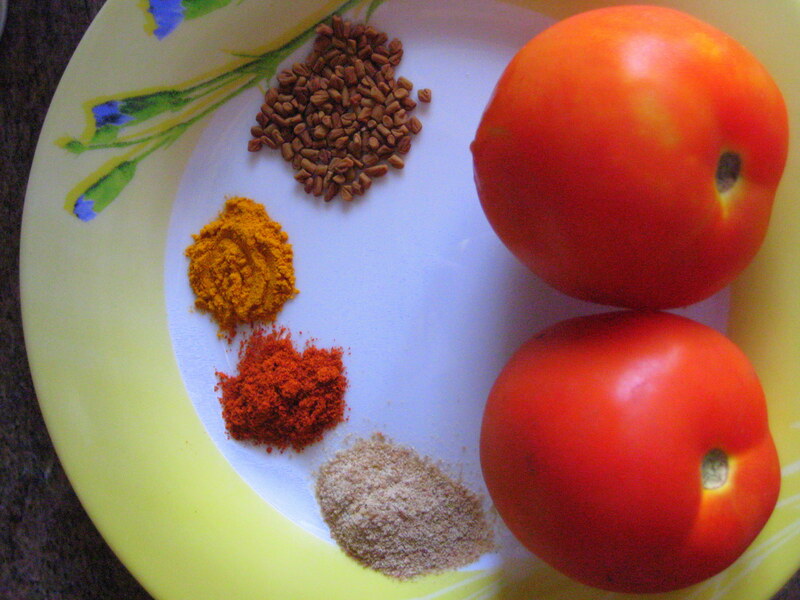 Now cut the tomatoes and toss them into the Kadai. Cover it and let it steam for 10-15 minutes (Or until the brinjal is done). Tada.Thats it…Slurrpp..It was so easy to make and I loved its taste…It has no onions ..is a no frills kinda sabji and yet I could eat the sabji as it is and still not get enough of it! 🙂 Do give it a try with Mustard Oil…I usually don’t like the smell of sarson ka tel..but with this it really brings out the baingan flavor and the sarson ka tel flavor is very subtle 🙂 . This entry was posted in Food, Recipes and tagged baingan bhaji, brinjal recipe, indian brinjal recipe. Bookmark the permalink.